Each time President Ernest Koroma had come to America to attend the United Nations General Assembly, he had done all in his power to do what no other Sierra Leonean leader before him had accomplished : President Ernest Koroma had made sure that he met with Sierra Leoneans in jampacked town meetings that have so far taken place in New Jersey, Staten Island and New York . 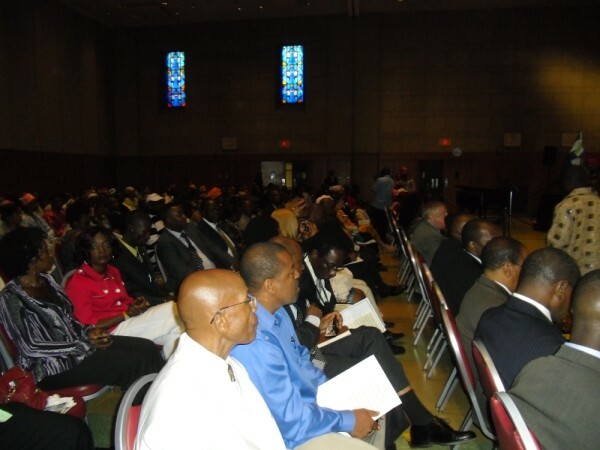 In 2008, 2009 and this year, President Koroma made sure that he had face-to-face town meeting with his people in the Continental United States during which he did not only appraise them with socio-economic and political developments back home but he allowed them to ask him questions about matters of national concern , to which he tried his best to provide suitable answers . In so doing, President Koroma proved two things; firstly, that he is a leader who is very much in touch with his people. If Sierra Leoneans in America want to be honest, they will concede that it had been a rarity for them to see their Presidents when they used to come to the U.S. Ex-President Tejan Kabbah was in power for 11 years but only once did he have a town meeting and that was staged by a Sierra Leonean Organization headed by the then Mass Communications University Lecturer , Professor Richard M’ Bayo, who is now vying for the Sierra Leone People’s Party ( SLPP ) Standard Bearership for 2012. Kabbah and his Vice-President used to come to the U.S. every year but hardly did Sierra Leoneans know that they were here. 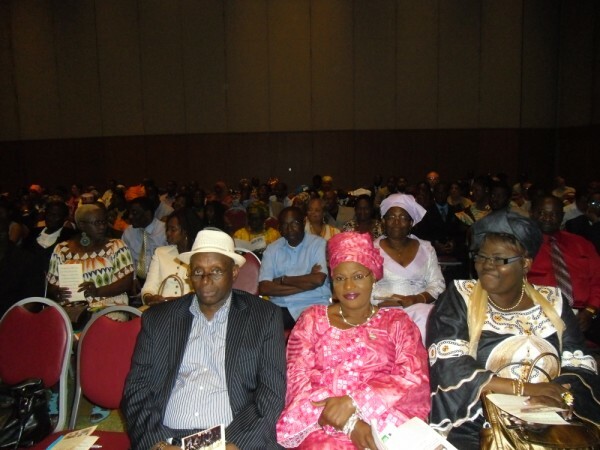 Sierra Leoneans were never close to the seat of power. State House and the Presidency were distant entities that Sierra Leoneans felt were not designed to be part of their lives. Anything they learnt about the operations of government were achieved through rumours and leaks. All this has changed since 2007 when Dr.Ernest Bai Koroma became President. Since then, Sierra Leoneans have been brought within touching distance of the seat of power . Secondly, by apprizing his people with developments back home each time he had been in the U.S, President Ernest Koroma has demonstrated that under his leadership, government has become open, accountable and transparent. Unlike other Presidents who had something to hide, President Koroma has proved that this new All People’s Congress ( APC ) has nothing to hide. The result of these town meetings is that President Koroma has reawakened national pride in Sierra Leoneans in the diaspora. Now, they are proud that they have a country that has not only recovered from war but is now ready to take her rightful place in the community of nations. Before President Koroma started meeting with them, Sierra Leoneans in the diaspora had been flowing only with the negative reports about their country in foreign newspapers.They had a vey unprogressive impression about events in their country. The foreign press, which delights only in propagating negativity about third world countries like Sierra Leone, had a field day in the minds of discouraged Sierra Leoneans. This has now changed. Today, Sierra Leoneans get objective reports on their country from their President and now they now have confidence that their country is heading towards the right direction. From the horse’s own mouth, they have heard about the many socio-economic and political developments going on in their country. During the last Open Government Initiative ( OGI ) Meeting in New York, Sierra Leoneans even had the opportunity to watch the turn around in their country through a film played to them before the President arrived at the hall. This was a brilliant public relations work by the Government that provided Sierra Leoneans concrete evidence of developments now going on in their nation. This change in the perception of Sierra Leoneans underlines the importance of quality communication to the people. As I have been trumpetting recently , to the extent of being misunderstood and misinterpreted by others (Though I am delighted that credible people have come out in support of my proposition ) , the government of Sierra Leone and its supporters do not need to be abrasive , rude and verbally insulting and annoying to the public for its achievements to be understood and acknowledged by the people. It is only through quality communication that the people will understand the socio-economic and political achievements of their government. It is hoped that Sierra Leoneans will now use their re-awakened national pride and confidence to pitch in and help the APC Government promote President Koroma’s Agenda For Change in Sierra Leone. Our beloved Sierra Leone belongs to us all, regardless of our political affiliations and regions of origin. It is therefore the responsibility of all Sierra Leoneans to throw in their support to a President who has proved beyond all reasonable doubt that he is committed and determined to convert Sierra Leone from a failed state to a strong nation deserving of its old-time fame of being the Athens of West Africa and the Beacon of Light of Africa.